Is there such a thing as in ikebana wedding flowers? Is it possible to have an ikebana approach to wedding floral arrangements? 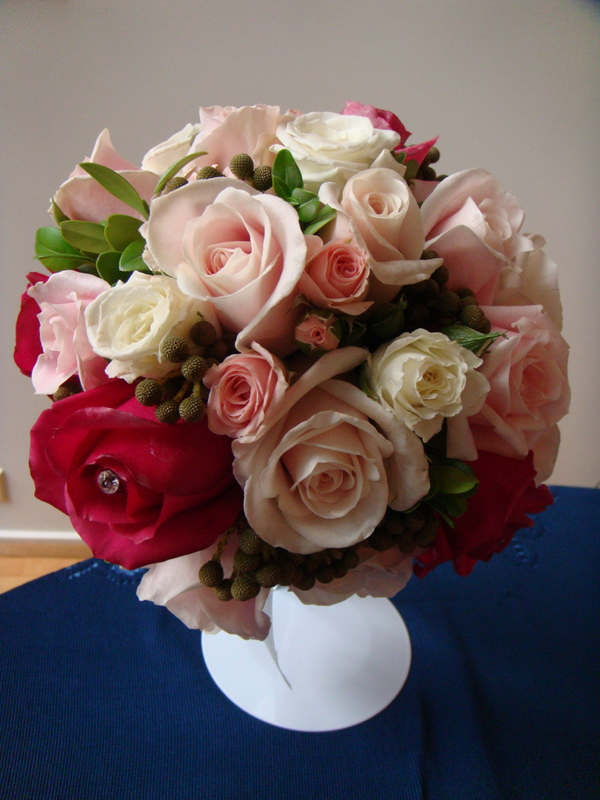 When my friend asked me be in charge of their wedding flowers, I was asking myself these questions again and again. 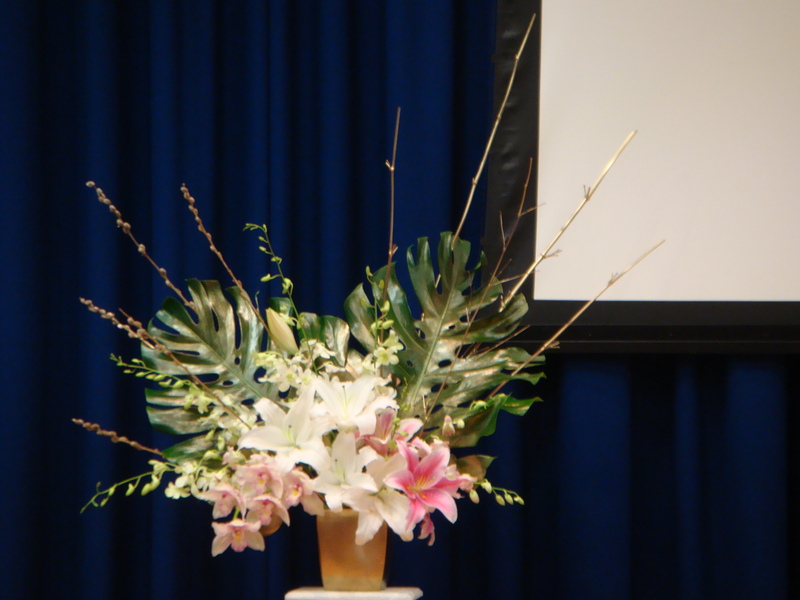 Is it possible to keep my ikebana style and merge it with the highly westernised church wedding? I found that weddings is highly complicated than any floral art. Not only you have to consider the place where the flowers are being use eg the church/ reception, but the bouquets and buttonholes are pieces that are being carried and worn all day and have to be exposed in the most hash environments depending on the weather of the wedding day! They have to not only look good, but also look good when worn on the particular person in a particular way! How many times have you seen the mother-of-bride wearing the corsage on the wrong side and causing the corsage falling to one side, rotated or up-side-down? How about the minimalist approach we have in most ikebana’s art? Will the bride cry in tears when she see only a couple of flowers with a few “sticks”?